Navigating real estate and insurance questions can become complex — unless you enlist the help of experts. 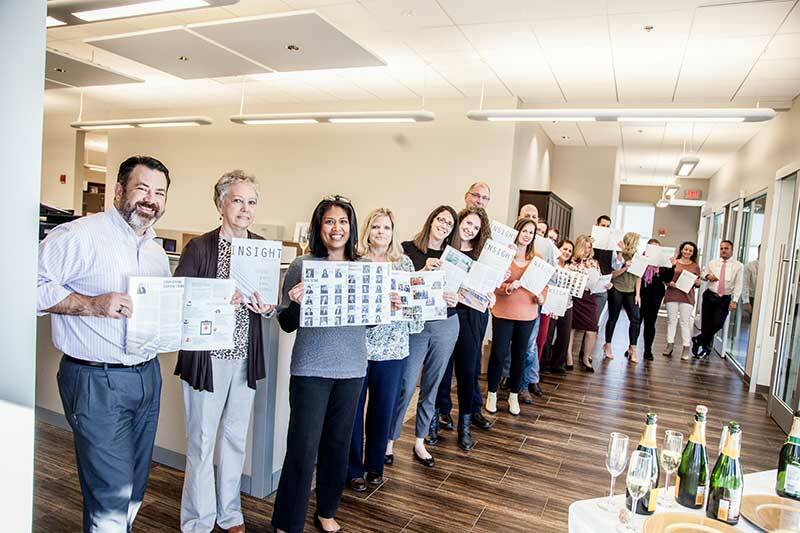 Beck Partners released their third annual report, Insight Magazine, which provides consumers with content that answers questions pertaining to commercial real estate, insurance, risk management and property management, along with news and developments along the Gulf Coast and beyond. Beck Partners is a full-service commercial real estate brokerage, insurance and property management firm that combines their services to collaborate and provide comprehensive solutions in an efficient and quick manner. Few other firms offer such a range of services, so they sought to provide a publication that would utilize their expertise in a way that is helpful, relevant and accessible to clients and the community. “We seek to constantly drive valuable content that clients need,” said Maggie Whittemore, marketing manager of Beck Partners. Each Beck Partners team member attends continual training to help best know their market and stay involved within their community. This combination caters to the company’s mission of creating innovative partnerships to forge successful futures. The content within their annual reports reflect that. Articles in the third issue cover: interviews with the developers of the Cascades project in Tallahassee with North American Properties and the new children’s hospital with Sacred Heart; Ecommerce trends for retail; cybersecurity protection; sales team tips; the industrial resurgence in the Gulf Coast and much more. The content is written both internally and by local partnerships. “Since 1981, top-level executives and business professionals throughout Northwest Florida have relied on us to provide relevant market intelligence and advice. To learn more about Beck Partners and Insight Magazine visit their website.